This is our first experience of Beyblades for which I believe there are many other games and sets out there. The game comes with the Beystadium, 2 launchers and 2 Switchstrike spin tops. The stadium is easy to assemble and very lightweight. It does feel ever so slightly flimsy and that it may be easily squashed. 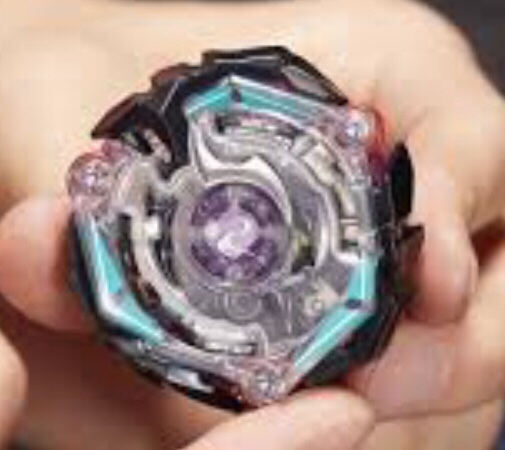 The Beyblade spinners even gave their own unique names – The Genesis Valtryek V3 and Satomb S3. These are made up of several parts which require putting together before playing. The Energy Layer, Two-Part Forge Disc and Performance Tip. The idea of the game is to simultaneously launch both Beyblades with the launchers into the Beystadium. If launched correctly (this takes a little practice) then the Beyblades will spin rapidly and crash into each other. When they crash one or maybe both of them will fall apart meaning whoever is intact wins the round. Then the Beyblades need reassembling and the rounds start again. Beyblades comes from Hasbro games. It’s lots of fun to play and watch. 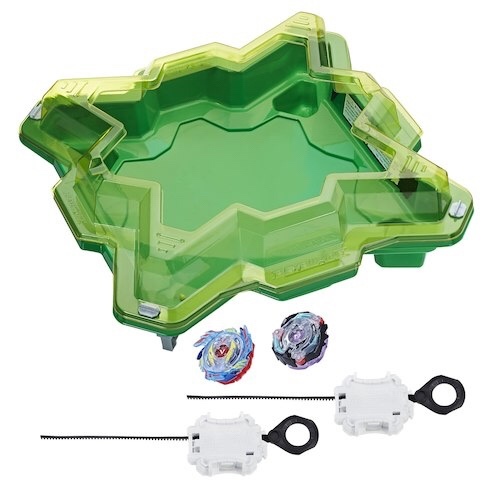 Just make sure you keep fingers and objects out of the Beystadium as the Beyblades spin extremely fast and you wouldn’t want one on your finger. 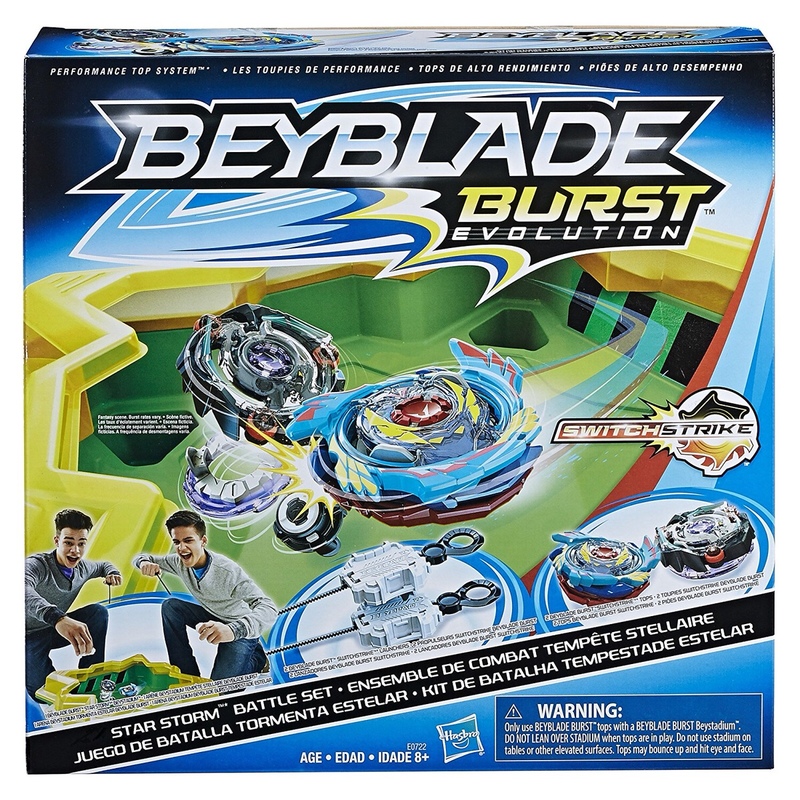 Beyblades burst evolution can be purchased from most toy stores costing between £30 – £40.